888Sport is running several great promotions for its customers. We will take a closer look at the 888Sport Big Bet Bounty promotion. This promo is running every week and has a guaranteed prize pool of $2.000. 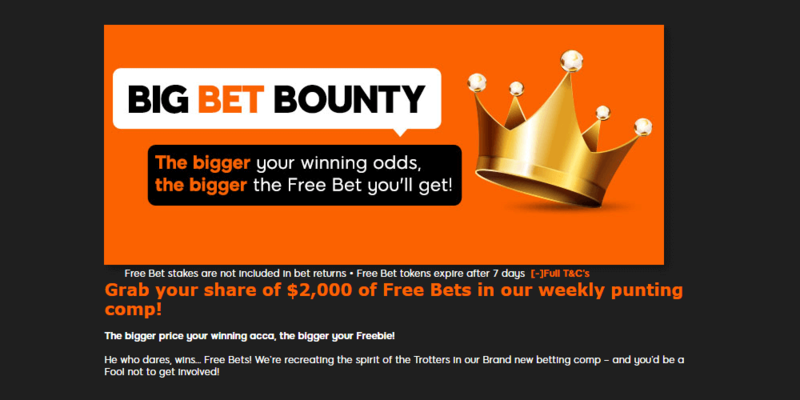 The winner of the Big Bet Bounty will win $888 in free bets. The bigger your winning odds, the bigger will be the free bet you will receive! How does the 888Sport Big Bet Bounty Promotion work? In order to take part in this promotion you need to place a real money qualifying bet of at least £5 at odds of 1.50 or greater. The bet needs to be placed within a single week’s period. If your bet wins, you will automatically join the Big Bet Bounty promotion. The Leaderboard is determined by the highest winning odds. That means the bigger your winning odds are, the further you will move up in the leaderboard. The prizes you can win from the Big Bet Bounty are ranging from $888 to $25. The top ten players will earn their share of the prize pool every week. 888Sport is updating the leaderboard on a daily basis so you can keep track of your progress. There are basically two ways to approach this promotion. You could go for single bets on high odds. However, judging by the recent results of the past leaderboards, we have to assume that players who place combination bets are more likely to win this promotion. Therefore we would recommend you to place so called acca bets with. That will heavily increase the probability of winning the Big Bet Bounty. Keep in mind that there is no limit in bets placed that count towards this promotion. 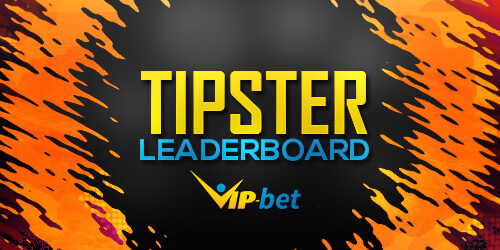 Your bet with the highest winning odds will automatically replace your previous winning bets in this leaderboard. If you haven’t signed up with 888Sport, you can make use of their welcome package. Place your first bet at 888Sport worth at least $5 on any betting market at the standard odds, and you will be credited with winnings worth triple the odds afterwards instead. Place your first bet of up to £10. Extra winnings will be credited to your account as free bets. This promotional offer is available for new customers only. In order to claim it you have to be over 18. T&Cs apply. A qualifying bet is a ‘real money’ of at least £5. All qualifying bets are to be made in a week’s period running from Monday to Sunday inclusive and must be settled within the same week of placement. Bets settled after this period will not be eligible, a week runs from Monday to Sunday. Each Permutation bet is treated individually for qualification purposes. For example, £5 win Trebles with 4 selections at min odds (4 x £5 Trebles) would count as 4 qualifying multiple bets, whereas a £2.50 win Trebles with 4 selections at min odds (4 x £2.50 Trebles) would not qualify as any. Leaderboard is determined by the highest winning odds. For the avoidance of doubt, this is calculated by total bet profit divided by total bet stake. For example, if you get a return of £100 from a £10 accumulator, this would be displayed in the leaderboard as 10.0. The Leaderboard will be updated once every 24 hours, excluding weekends. There is a maximum of one Leaderboard entry per member. The leaderboard will always display the highest odds return. For example, , if you have an entry of 8.5/1, but then have a valid winning bet with odds of 10/1, your entry of 8.5/1 will be deleted once the 10/1 entry is updated to the Leaderboard. Final settlement odds count. This covers Rule 4 deductions, voided legs & resettlements. Losing bets do not qualify. Biggest odds win will be displayed to 4 decimal points. In the unlikelihood of a tie between two or more participants the winner of the Free Bet prizes will be determined by the member with the greatest count of total bets placed during the promotion period. Free bet tokens can be redeemed on win singles or ‘straight line’ Multiples (doubles and greater) but cannot be redeemed on Permutations. Free bet value is not included in any bet returns and expires after 7 days. Duplicate, Void & Cashed In bets do not count. Member bet limits apply to Free Bet placement. Offer is limited to one per person, household, computer, and email address or payment details. 888sports decision is final on all matters relating to any reward and shall not be subject to review or appeal by an entrant or any third party. 888sport reserves the right to cancel, suspend or modify this promotion at any stage without prior notice.